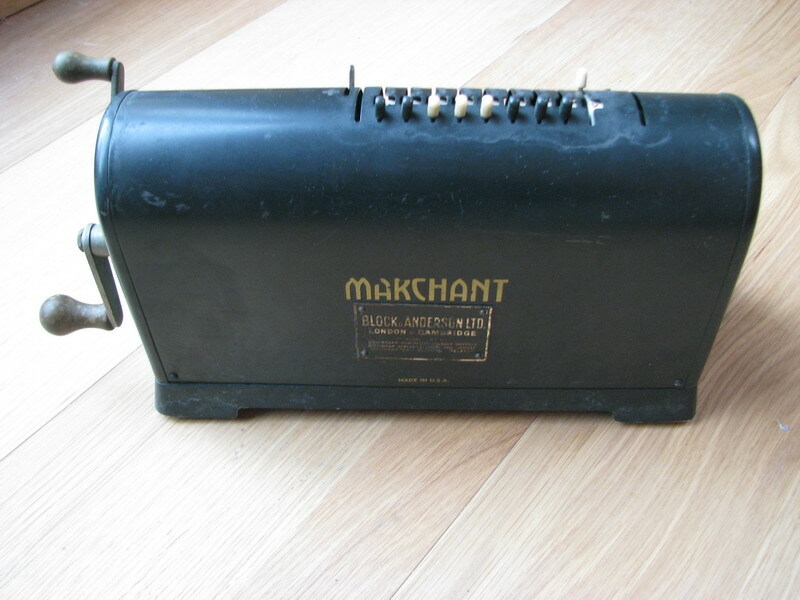 This Marchant XL was again an ebay find, which I originally bought for parts to restore my Twin Marchants, which are composed of two machines identical to this one. 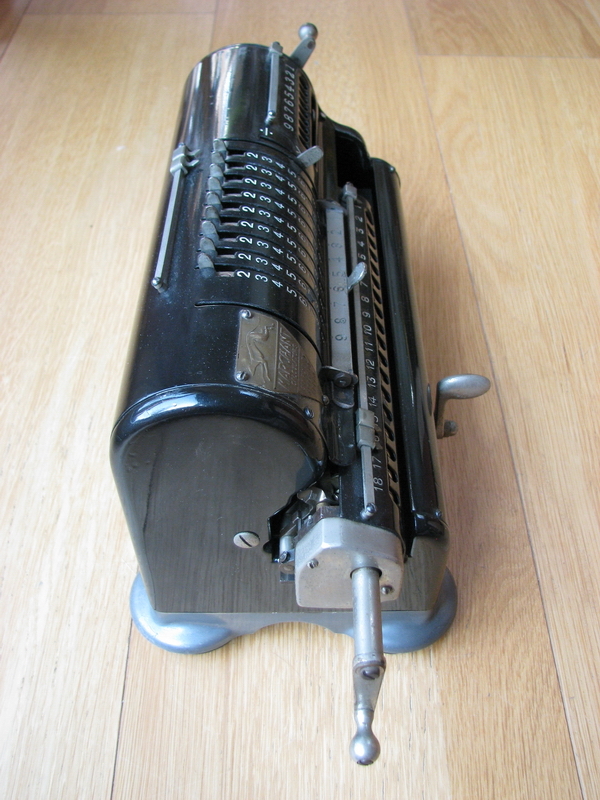 However, it is far too nice to take apart, so I'm still on the lookout for a (few) parts machines. I can see the same quality control issues associated with wartime manufacturing (especially the paint is very bad, and comes off very easily) as in its "Twinplex" sisters. 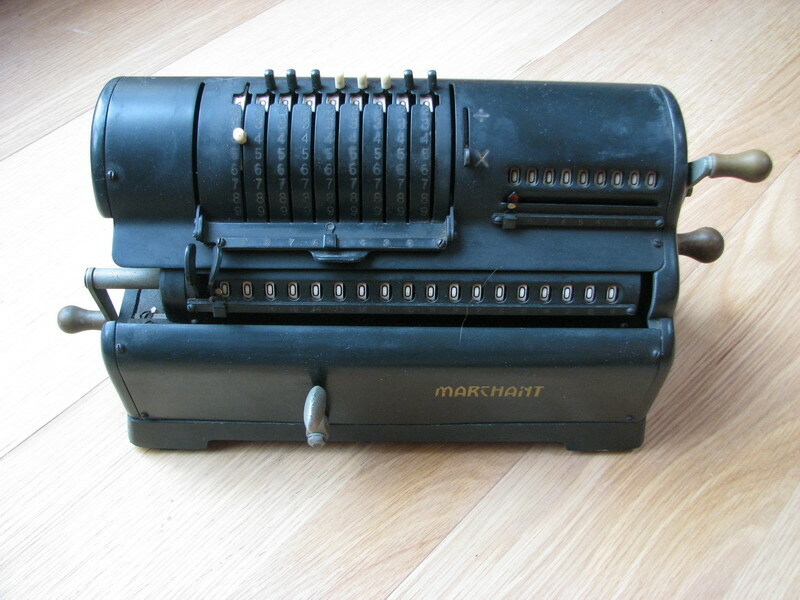 This machine is, however, fully functional and works as intended. 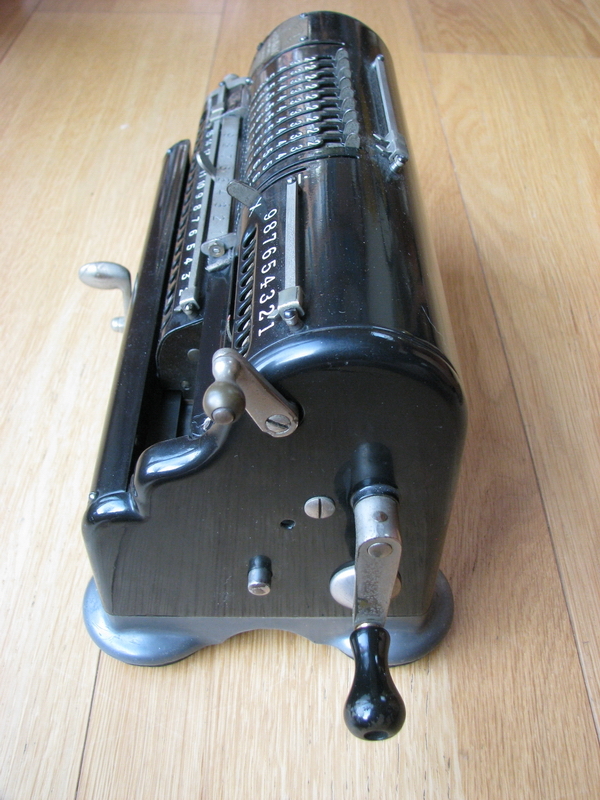 This one, like the Twinplexes, was sold in London by Block & Anderson - although according to the label they also had offices in plenty of other places all over the UK. 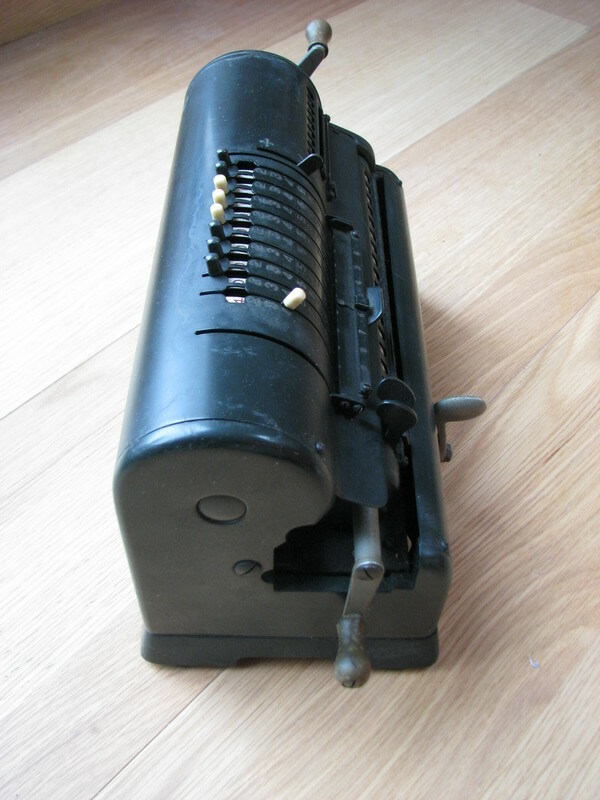 A nice touch about these machines, which operate according to the ratchet wheel principle, is that the input pins are large and have caps, as they do not rotate along. 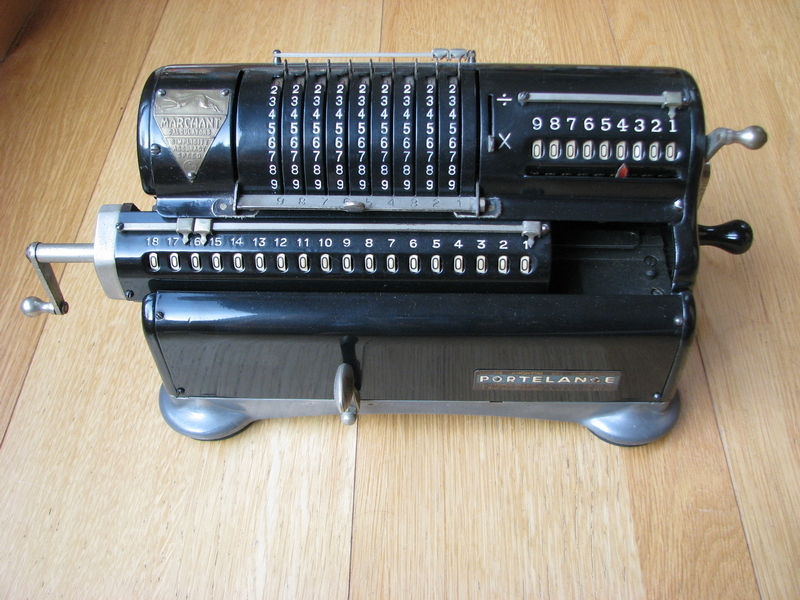 Another thing that sets this machine apart from contemporary calculators is that the number wheels are white, with black numbers, instead of the other way round, which is usual. 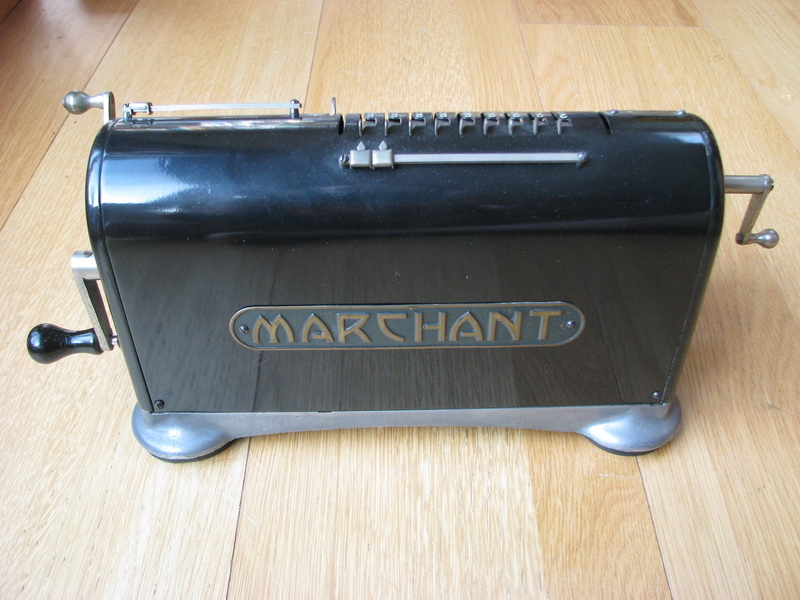 I also bought the earlier version from the collection of Freddy Haeghens, with the beautiful logo cast in bronze (and in relief) on the top and on the back of the machine. 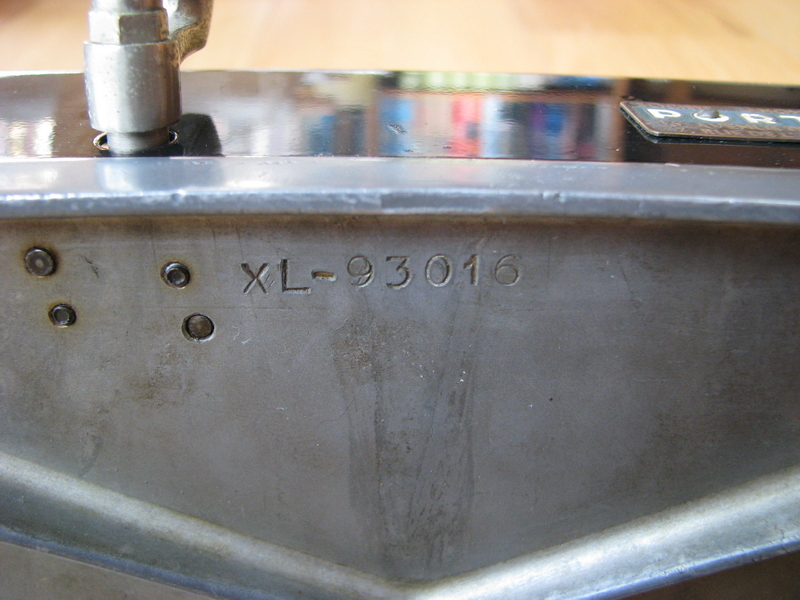 The serial number is 93016, which places it right before the second world war (and the move to army green paint). So perhaps around 1939. This one does not have keycaps anymore - they would have been red and white. 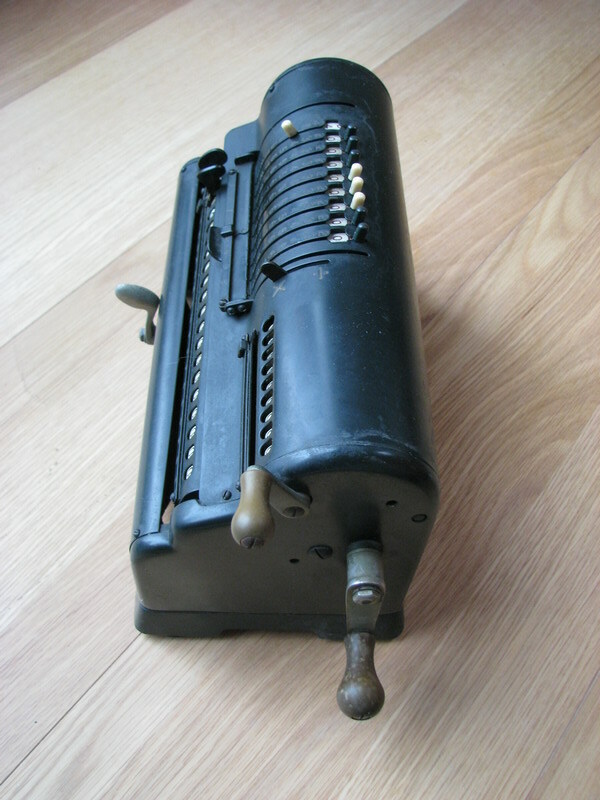 Originally a Belgian machine, sold in Liège or Brussels by Portelange. 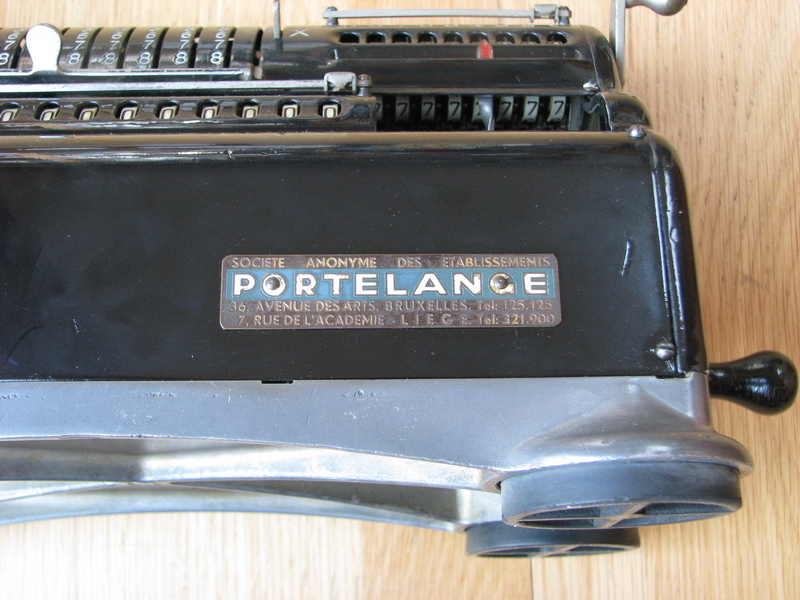 Nothing of the buildings remains, but the machine was sold between 1946, when they Portlange was established, and 1955, when the name of the firm changed. So this probably means that this machine was sold by them as a used machine - or perhaps came for maintenance, and saw the "dealer sticker" added. 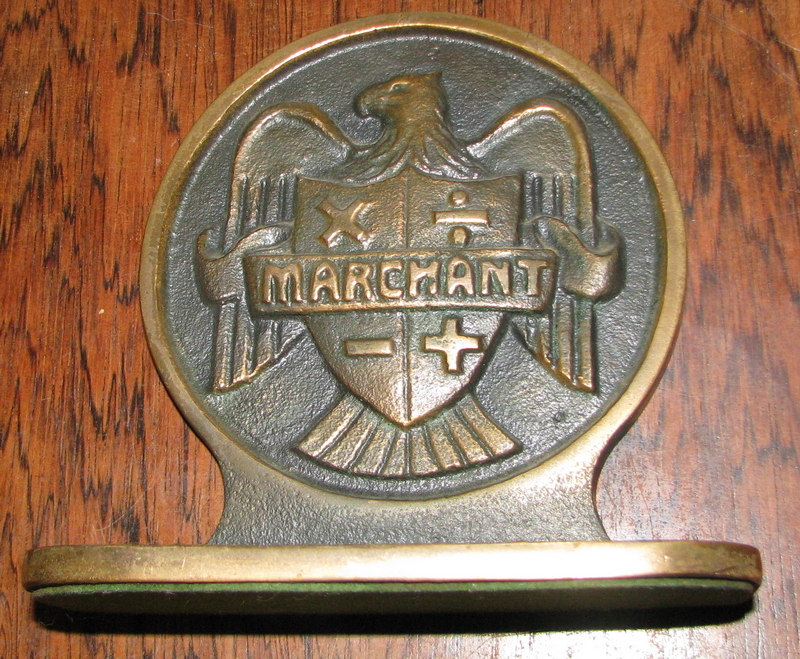 I also bought some bookstands from the Marchant factory, which still breathe the same style as the castings on this machine - they are also cast in bronze, but the greyhound from the logo has been replaced by an eagle and shield, which first appears in 1948. The bookends carry Christmas wishes on the back from Edgar B. Jessup, the president and general director of Marchant from 1933 to 1957.